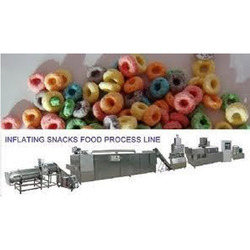 Leading Manufacturer of cheese ball snacks processing line from Noida. By keeping track with latest market standards, we are engaged in offering wide assortment of Cheese Ball Snacks Processing Line. The offered range is precisely manufactured using premium quality components and sophisticated technology in compliance with set universal norms. Our offered products are thoroughly checked on various stages by our quality inspectors to ensure their flawlessness. Clients can avail the entire assortment from us at leading-market prices. Looking for Cheese Ball Snacks Processing Line ?